My first travel out of the UK (*) was to Morocco from 15 to 21 December 2015. From a random tourist knowing nothing about Morocco, those great 6 days turned me into a total lover of the country. With great music, great food, beautiful handicrafts, vibrant urban livestyle, a diversed and interesting culture, stunning landscape, and most of all, wonderful people, the country has totally won my heart. 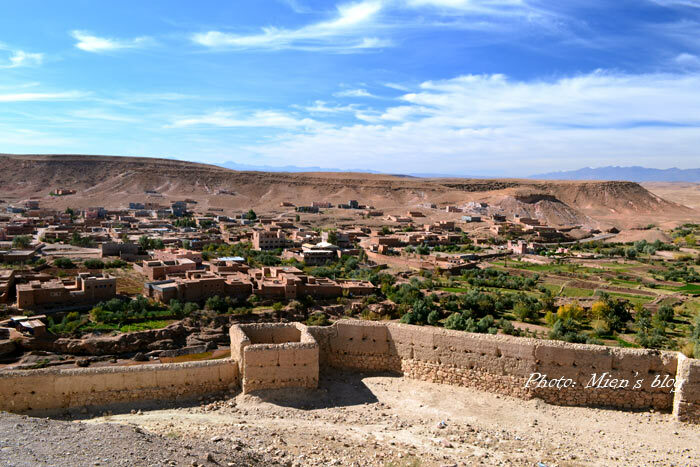 UPDATE: read my second blog on Morocco travels for more practical information of domestic transportation and the coastal cities. Morocco is the first country in Africa that I’ve visited. Africa has been high in my travel list for ages but I could only made it till Morocco in December 2015 (Even though we all know that Morocco is more Middle East than Africa, that was still a good start, perhaps). Before I went to Morocco, friends warned me about how aggressive and persistent the shop keepers and the street hawkers could be, and how their touching culture might be weird for tourists (especially for East Asians where we don’t even hug or touch our family members). “Even more than India?” – my question, “Yes” – the answer. So I was mentally prepared, and since I was going solo I needed to treat my friends’ advice very seriously. All they said was true by the way. I experienced all, but I got over it after only half a day. The rest of the trip was wonderful and I actually found Moroccan people generally very kind, friendly, and helpful. 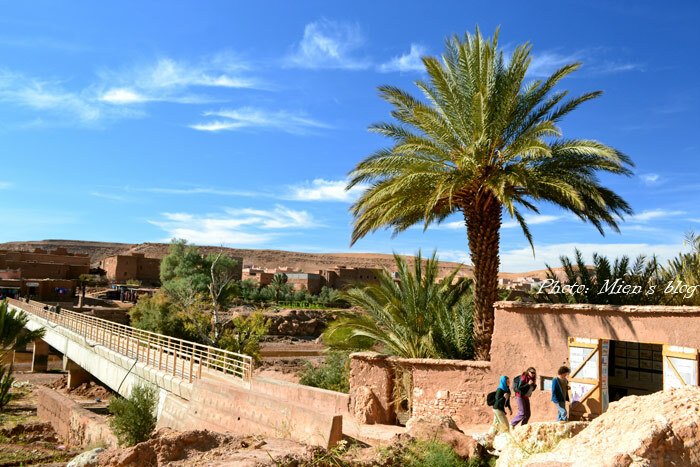 The majority of my time was spent in Marrakech except for a 2-day tour to the edge of the desert in Zagora (I didn’t know why I forgot my package tour experience in Cambodia and took a package tour again. But honestly, this is the last time!) As I grow older my travel style has changed accordingly. Nowadays I prefer traveling solo and relaxing at one place rather than rushing the whole country or “checking in” the tourist attractions like I did before. The first glance of Marrakech reminded me a lot of the “pink city” Jaipur in India because of the same colour of the houses. 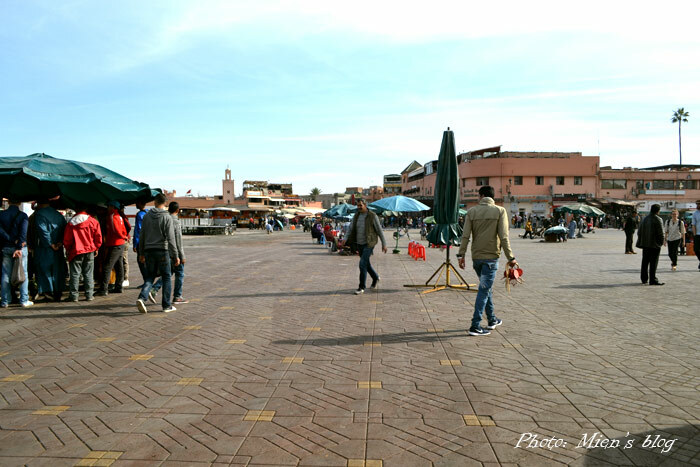 Marrakech, though, is a lot cleaner and far less chaotic or polluted. 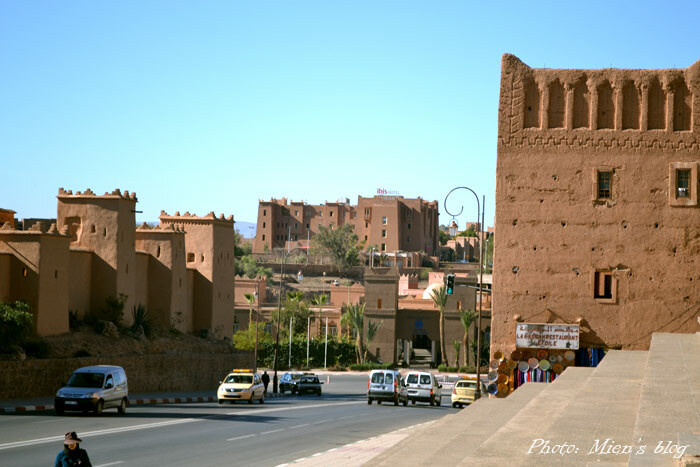 Morocco is a very popular destination for UK residents. There are cheap tickets offered by Ryanair (from Stansted Airport) or Easyjet (from Gatwick Airport). Tip is to book a few months in advance (of course). I was lucky to get my return tickets for an amazing price of £41 from London to Marrakech with Ryanair because I travelled right before the peak time of Christmas and new year holidays. 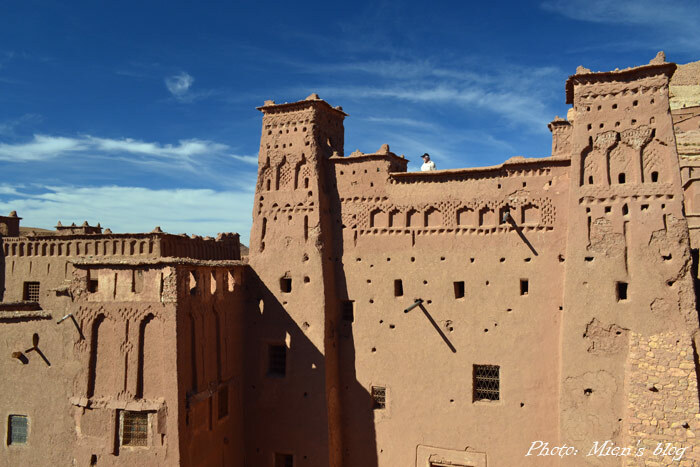 Tickets for summer can be a lot more expensive because that’s high season for tourism in Morocco. If you fly with Ryanair, beware to always check in online and print out your boarding pass, or else you may be charged the “airport check in fee” (aka “stupid fee”) of £40 as I was. Ryanair might be slightly cheaper than Easyjet but you will have to pay for the train to Stansted, which is way farther than Gatwick, and spend a homeless night at the airport to catch the 6am flight. This has always been a pain for Vietnamese travellers. And now that I’m out of ASEAN, visa becomes my biggest nuisance. Morocco exempts visa for a lot of countries including most of EU, North America, Arab World, some in South America and Asia (including 3 ASEAN nations Indonesia, the Philippines and Singapore). Check the full list on the website of Moroccan Embassy in the UK. – Apply at least 2 weeks in advance because the process takes exact 2 weeks! – No need to book for appointment, just turn up at the consulate between 9 and 11 am from Monday to Thursday. No need to call or email in advance, they won’t answer anyway. The currency in Morocco is Moroccan Dirham (MAD / Dh). The exchange rate was GBP 1 ~ MAD 14.5 as of Dec 2015. Exchange rate at the airport is not good so don’t change a lot there. When you’re in Marrakech, look for a place called Hotel Ali, they offer the best rate. Bus number 19 (you’ll see it right after getting out of the airport) will take you straight to the old media at 30 Dh (£2) per way. Very convenient and easy, so no need for taxi! This photo on Pinterest shows you the bus route. I stayed at 2 hostels in Marrakech which I both highly recommend. 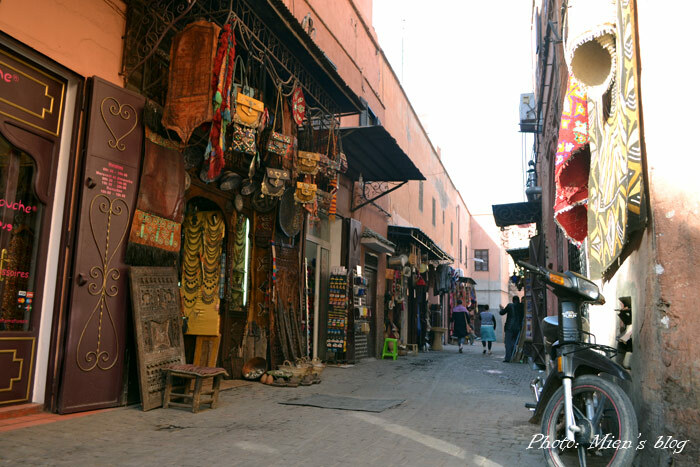 The first one was Hostel Riad Marrakech Rouge – definitely a 100% recommendation from me! The hostel is set in a very beautiful old house inside the main market square Jemaa el Fna with friendly staff. Breakfast, tea and towels are provided. They have a website (that seriously needs re-designing) with a contact number in London. I called and emailed them in advance before coming to Marrakech and got clear instructions on how to get there from the bus station. The price was 80 – 100 – 120 Dh per night (£5.5 – 7 – 8.5) for a bed in 6 bed, 8 bed and 10 bed rooms. There was only 1 problem that made me change hostel after 2 nights. The hostel is located in the busy market square and after 2 days all the shop keepers in the alley already remembered me and it was quite annoying that every time I walked back to the hostel they insisted I visit their shops. The second one was Riad Dar Radya – again 100% recommended! This one was a new and modern house compared with Marrakech Rouge, and very very beautiful as well (I have to say I love the interior design in Moroccan houses). This one is a very social house, and I’m already friend with the owner. Obviously, this is the place to be for me anytime coming back. The price was 80 Dh per night (£5.5) for all beds. Just bear with the fact that you will need earplugs if you want to sleep here, not just because of the “social events” in the common room or balcony but also because the bulk beds are not very steady and often made lots of noise with every move. A big plus for Riad Dar Radya is that it is a bit outside of Jemaa El Fna so you actually have peace here. Tagine, couscous, Moroccan salad and mint tea saved my life! I actually found food in Marrakech very vegetarian-friendly. For the mint tea you may want to tell people not to put sugar in though. Coffee here? From average to bad. The cafe au lait (coffee with milk) is more like milk with cocoa flavour (But well, I’m from Vietnam, the coffee country, so coffee anywhere is not good or strong enough for me anyway). My favourite spot to eat in Marrakech was Havana. Totally recommend! I’m so happy that I came across this place. It’s a bit outside of the madness in Jemaa El Fna. 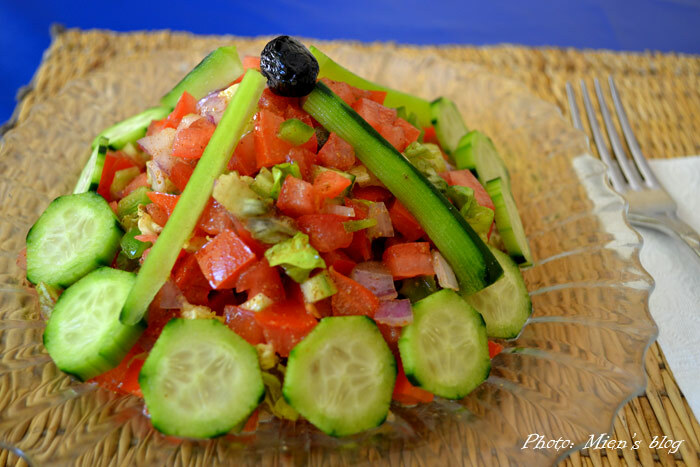 Food is excellent at a very reasonable price and you can always find the restaurant owner great company who will give you great tips to enjoy Morocco. Actually if you stay in Riad Dar Radya you’ll walk past Havana whenever going to the main square Jemaa El Fna. Not just a restaurant, but also a meeting place! Obviously girls will all go crazy about shopping in Morocco, or at least I did. Clothes, scarves, earrings, bangles, necklaces with beautiful design and colours; and also carpets, spices and argan oil! Just beware that the touts in Jemaa El Fna are super persistent (the worst I’ve ever experienced) and the first price they give might be 3 to 10 times more expensive than the actual price. You just need to learn to say no as firmly as you can and walk away, and obviously if you want to buy something, use your negotiation skills! Also, when you’re a solo girl you may frequently be bothered by local men, so, be polite but determined if you want them to leave you alone. During the time in Marrakech I went together with other people I met at the hostels to some attractions sites, but the best place I went to actually was a local shisha bar where people sang and danced. 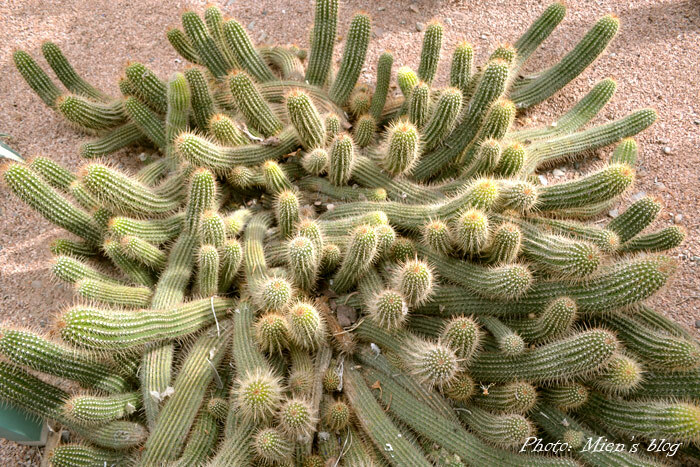 Every Moroccan can dance! That’s a fact! Probably that’s a very important reason why I love it there! 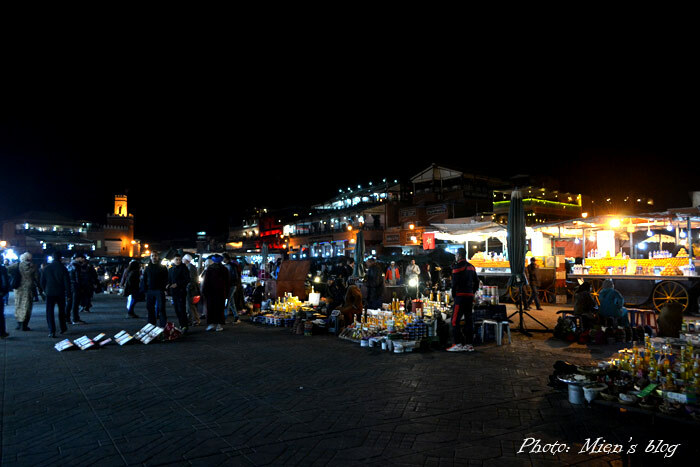 Jemaa el Fna at night. It’s great fun to stroll around the square at night when there are so many local music groups playing at the same time! 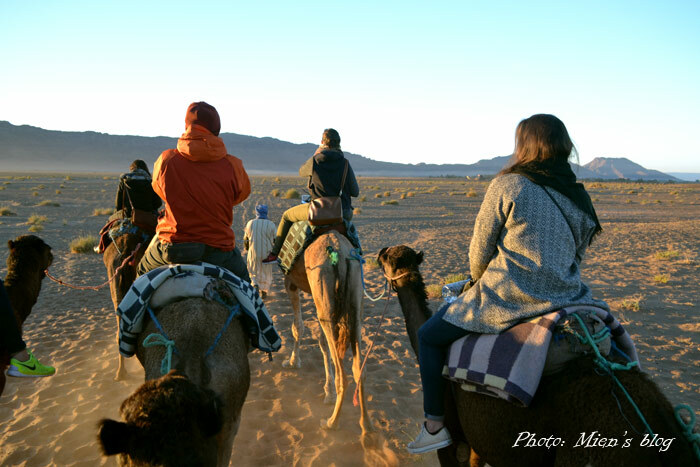 I booked the 2-day-1-night tour with Marrakech Rouge Hostel to the desert for 500 Dh (£45). While the scenery was magnificent, the package tour was just not my cup of tea. Of course it is easy, convenient and safe for solo travellers, package tour in very inflexible and you often don’t have time or freedom. 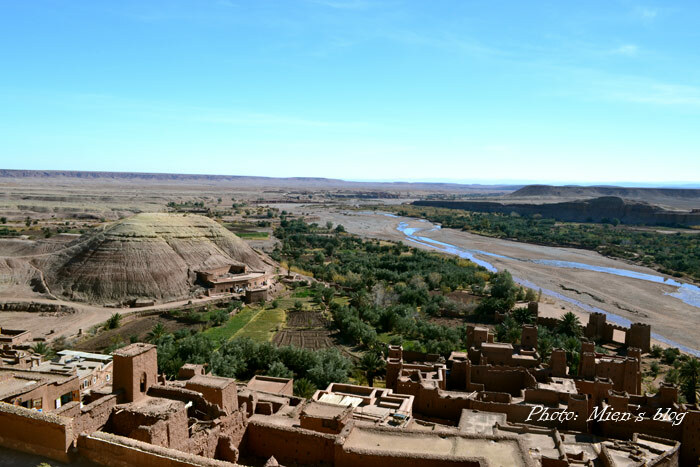 We had roughly 40 minutes at at Aït Ben Haddou with a tour guide, while normally this place is worth at least a full day. Aït Ben Haddou, a UNESCO World Heritage Site in Morocco, where lots of Hollywood blockbusters were shot, such as The Mummy, Gladiator, Prince of Persia, etc. 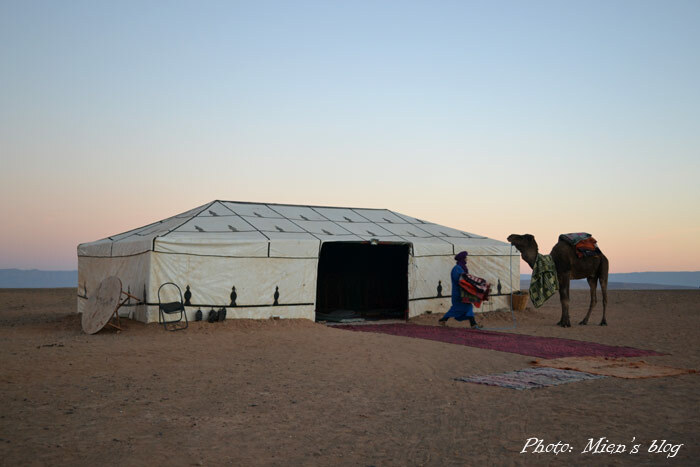 Then we had a camel ride to a Berber tent in the middle of the desert. The camel ride was really not my thing, because the poor camels seemed to be treated pretty badly. The night we spent in the desert was magical. I will never forget that boundless starry sky! But it was so freezing that even with 3 layers of blankets I still caught a cold afterwards. The beautiful road from Marrakech to Zagora reminded me so much of my motorbike road trip to Ha Giang (Vietnam) earlier this year. Don’t understand why Moroccan don’t do motorbike road trips! I totally imagine myself doing it when coming back to Morocco! So my time in Morocco came to an end after 6 days. That was too short and there are still a lot of things I want to know and a lot of places I want to visit. Quite a while ago I came across this beautiful chillout melody named “Walk From Agadir” by Bahir Al Bakir and never knew that the music was from Morocco. Agadir is actually a beach city in Morocco that I didn’t have the chance to visit. Morocco is so different yet so similar to my own country, Vietnam. I can relate to a lot of similar issues in developing traditional societies but at the same time also got fascinated by the differences. Though my trip to Morocco was totally random the truth is I have totally fallen in love with the country, and I promise I will return in less than no time. (*) Since September 2015 I have been relocating to the UK for my MA at Goldsmiths, University of London, under Chevening Scholarship scheme. Therefore, during these 12 months you may find some blogs popped up with my travels around the UK, Europe and North Africa. Also, now that I am based in London, most of my transportation tips will start from London and travel budget will be converted into GBP (instead of USD like I always did for my previous abroad travel blogs). 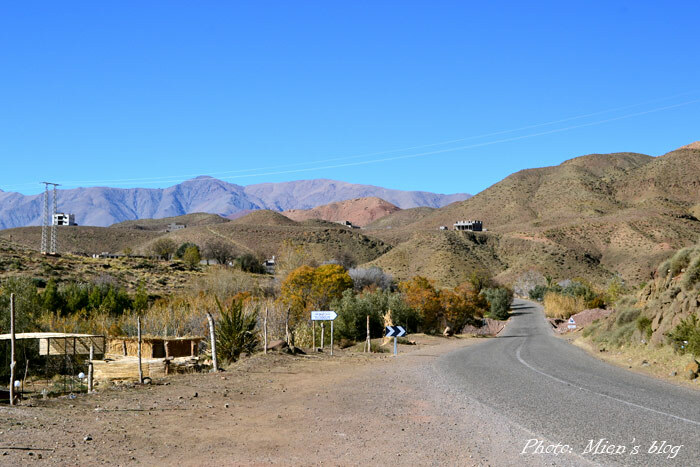 This entry was posted in Abroad Travels and tagged Morocco, Solo girl travel, Travel abroad, Travel tips.